Provided space for, and encouraged cultural events. Part of regeneration of the town itself. Coast protection measure also provided social amenity. Construction of new waterfront promenade. Colwyn Bay, once a popular Victorian seaside resort, has been transformed by the Waterfront project. Phase 1b/c combined the construction of a new section of promenade, concrete stepped revetment and beach improvements. The project has provided a single holistic solution to both the town’s regeneration and coast protection needs. The once ageing promenade is now a shared-use promenade with adjacent car parking for residents and visitors overlooking an extensive beach with golden sand complete with modern artworks. The project was delivered by Conwy County Borough Council supported by a design team lead by Mott MacDonald, funded through a number of funding streams including Local Authority, Welsh Government and European grant funding. 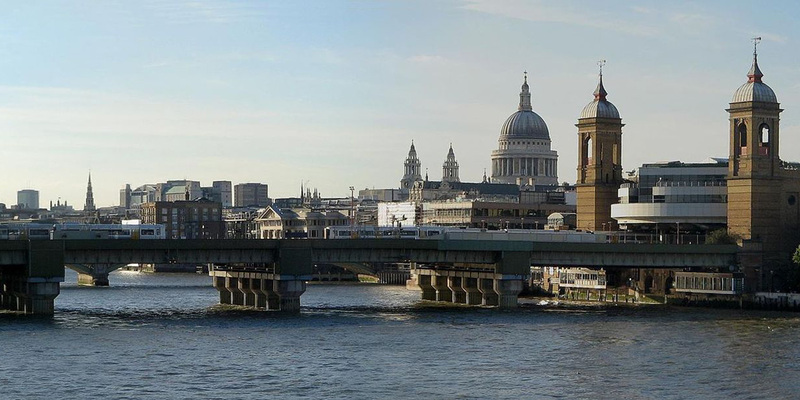 The construction was completed using mostly local sub-contractors and suppliers working under principal contractor Galliford Try. 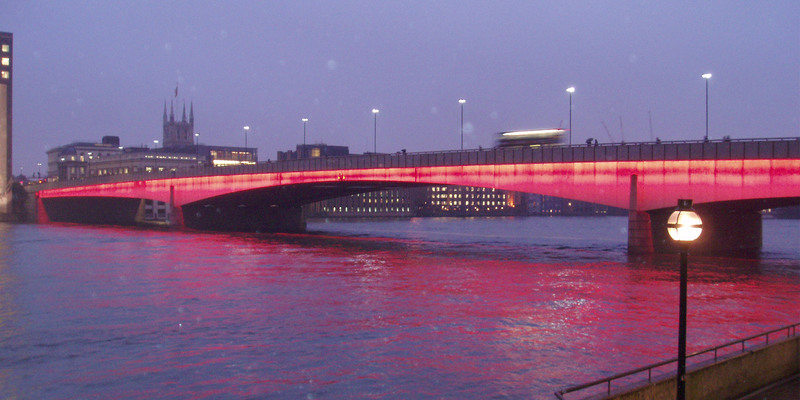 3D visualisations were developed to engage with the public at open events which promoted more effective discussion with members of the public not used to examining design drawings, and allowed consultation with local stakeholders, access groups, SUSTRANS and planners in order to secure buy-in to the project’s objectives. This early engagement meant that the scheme design was in fact changed from a linear construction to incorporate a large wave pattern which now provide additional ‘event spaces’, and provides both artistic form and function to the shape of the promenade. The scheme won ICE Wales Cymru’s Bill Ward Sustainability Award 2017 for its originality, fitness for purpose, application of research and latest techniques and immense benefits to the community. The project achieved CEEQUAL rating of ‘Excellent’. 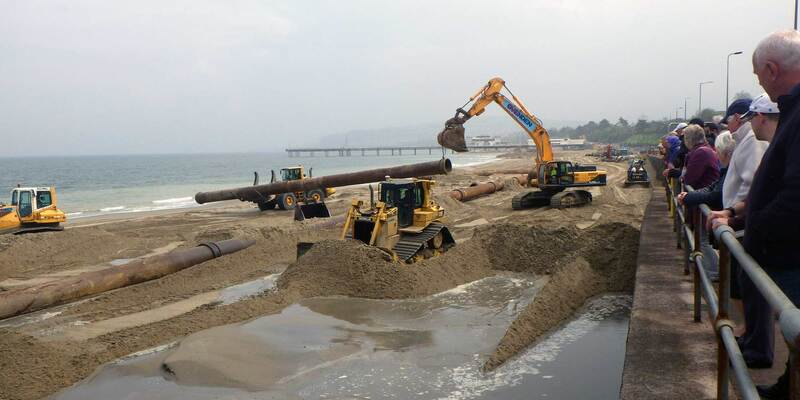 The project provides an increased level of protection from coastal erosion and flooding to 200 homes and businesses, as well as critical infrastructure such as the A55 North Wales Expressway and the North Wales Coast Railway Line. An improved link between the beach and town centre has ensured that the regeneration benefits are not confined to the promenade – which has seen new year round businesses such as cycle hire, ‘boot camp’ style fitness classes and watersport activities. Sixty new jobs - some seasonal, some permanent – have been created. The carefully designed features of the promenade such as a gently sloping ramp to the beach and well-spaced artwork features allow for greater access and interaction for all users. Event spaces built onto the headlands provide an ideal space for events such as ‘Prom Xtra’, which provides a platform for Welsh musicians and artists to gain exposure. Artwork such as the ‘crazy benches’ and life size ‘silhouettes’ of locals and tourists photographed using the beach add interest for visitors to the promenade. .
By undertaking early engagement with local employment agencies and subcontractors, it was possible to ensure that two thirds of the workforce lived within 25 miles of the site. The designer’s ‘sustainability toolkit’ was used by the project team to good effect in order to obtain value for money, manage risk and deliver an environmentally sound project with minimal waste and risk to onsite personnel and spectators. The project team employed collaborative working and problem solving, risk and opportunity management, behavioural health and safety, avoidance of waste, and a zero defects culture. 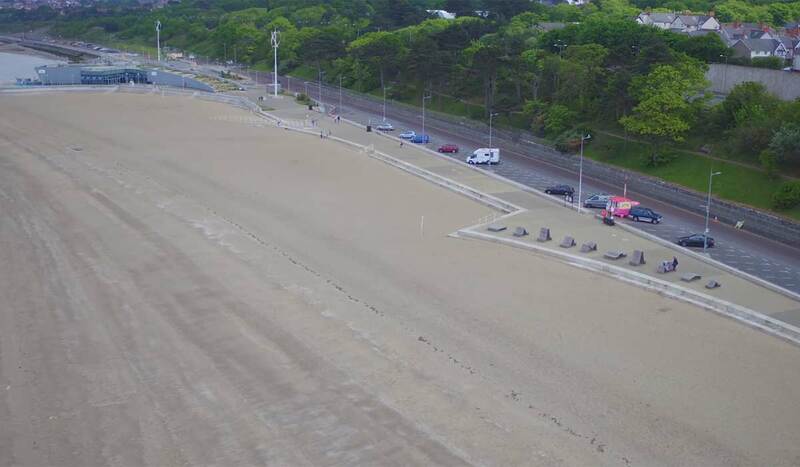 The imported beach, high quality promenade and improved links to the town centre have all combined to breathe some much needed tourist activity back into the town of Colwyn Bay. Since completion a number of start-up businesses have made the promenade their home. The town has also seen a number of new developments which have been directly linked to the regeneration of the promenade. The multi-million pound investment in the town, from multiple funding streams, has delivered a project that is greater than the sum of its parts. Colwyn Bay was facing a couple of significant problems, namely the need for regeneration and for significant improvements to the deteriorating coastal defences. By considering these two problems together within a single project we have been able to provide a holistic solution that is truly greater than the sum of its parts. A million tonnes of sand was used to create the new golden amenity beach, which is accessible at all states of the tide. The percentage of scheme waste diverted from landfill was 99.69%.